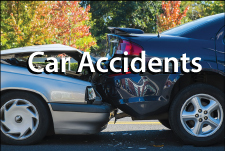 The severity of a car accident does not always directly translate to its injuries. A seemingly moderate impact accident can have lasting effects on the health of the individuals involved. It can be difficult for an accident victim to determine what steps to take after an accident to ensure that his or her needs are being met. An experienced attorney, however, can examine the circumstances of an accident and determine how best to protect your interests. At Chambers & Noronha, our lawyers thoroughly investigate our clients’ cases. We will proactively determine the risks and rewards associated with litigating your case. The attorneys at our firm are aggressive trial attorneys. Our opponents and colleagues know our reputation well. Each of our attorneys tries cases on a regular basis. The negligence of another driver in a car wreck can lead to serious injuries and/or death. If you or a loved one has been hurt in a traffic crash, it is essential that you retain a knowledgeable, legal advocate as soon as possible. We will work quickly with accident reconstructionists, medical professionals and economists as we navigate every detail of your situation and build you a strong case that yields the best results possible. We make an investment on behalf of our clients so they can proceed with confidence. We will not charge any fees until or unless we obtain compensation for you. To schedule your free initial consultation with one of our car accident lawyers in Santa Ana, please email us or call 714-558-1400.